Our Certified Life Care Managers (licensed as RN’s and LCSW) are experts in navigating and supporting aging related issues and family concerns. Click here to view the full version of KDKA’s interview with Bobbi Kolonay. 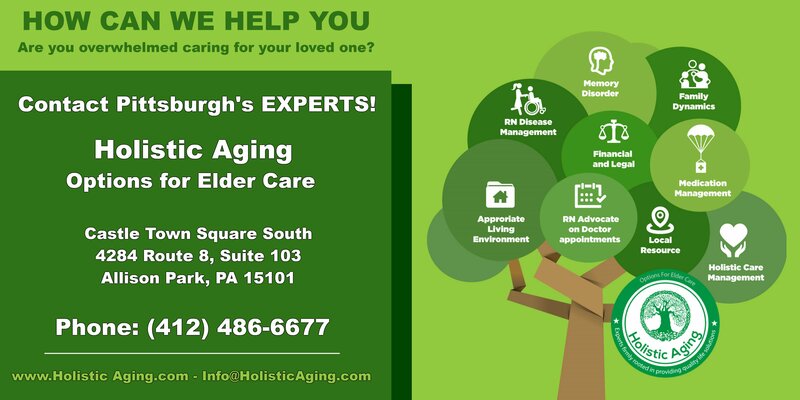 Aging Life Care Management is a holistic, client-centered approach to caring for adults facing ongoing health challenges. 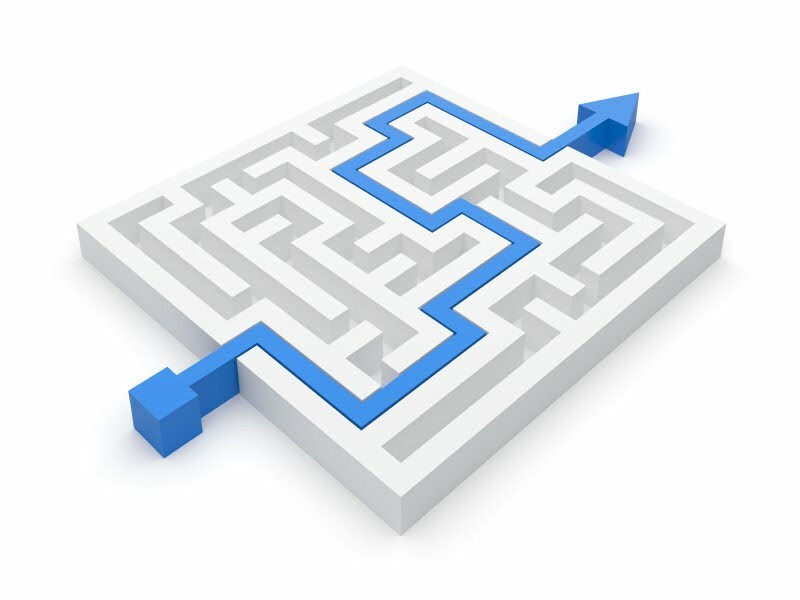 Help your family and loved elders navigate the health care maze with Life Care Management. Working closely with families, the professional, licensed experts of Options For Elder Care provide answers at a time of uncertainty. Their guidance leads families to actions and decisions that ensure quality care and an optimal life for those they love thus reducing worry, stress, and time off of work for family caregivers. Do you have concerns like these? My loved one in not safe living in their home alone. The doctor/nurse/care giver/etc. told me my parent can no longer live at home. I don’t understand all the options and costs of all the alternative living arrangements. The health care system is overwhelming to navigate. My loved one gets worse with each hospital stay. My loved one has memory problems and I need help. I live a good distance away from my parents and need someone to oversee their care. My family is having a difficult time agreeing on the best treatment for our parent. We need an expert’s assistance to guide us. I want the QUALITY of my parent’s life to improve. Should my wife be driving? My father is not taking his pills. My mother’s forgetfulness is concerning. I have three children, a full time job, and live 100 miles away; I just can’t do it all anymore! If so, it’s time to seek out a Life Care Manager to help! Below we’ve broken down everything that Life Care Management covers for each and every client’s needs. Your care is personalize to your needs after analyzing these 9 areas. Life Care Managers are experts in these 9 areas, each an important branch of our symbolic tree. With a registered nurse (RN) assigned to every case, we effectively bring older adults life and “disease” back into balance. We assure the treatment of the whole person, rather than the sum of multiple medical conditions. Additionally, we can reduce hospitalizations and the need for aggressive medical treatments. The RN Life Care Manager plays an important role with all the providers (doctors, physical therapists, dentists, etc.) of medical care for the client. Life Care Managers act as the central point of contact. As a result, unity of all services and treatments is assured. Furthermore, with this unity in place, Life Care Mangers have the tools to ensure client preferences are clearly outlined and maintained in all aspects of care. Usually, we accompany our clients to all their doctor appointments acting as the clinical liaison. In this case, we are the navigators through emergency departments and hospitalizations, rehabilitation stays, and ensuring our clients receive the best care available. We are educated experts on the housing options in the Pittsburgh and surrounding areas. Owing to 30 years of experience, we know what facilities provide quality care, will customize our recommendations to the client’s specific needs and financial budget, and oversee that the care provided continues to serve our client well. Our ethical standards prevent us from receiving any financial incentive from any facility. Therefore, you can rest assured our recommendations are specific to each individual’s needs, taking the entire picture into account. Care for a spouse or parent with Dementia, Alzheimer’s Disease, Frontal Temporal Dementia, Parkinson’s Disease or one of the many memory disorders is a difficult task and, at times, an overwhelming one. In this case, our Life Care Managers are experts in navigating older adults and their families through the demanding road ahead. By the same token, Life Care Managers determine the long-term options that are best suited for your loved one. Services may include reviewing or overseeing bill paying or consulting with a client’s accountant or Financial POA to maximize the use of their budget. Our Life Care Managers work with Elder Law Attorneys to assure all the legal needs of our aging clients are executed such as Power of Attorney documents. We also frequently work as a team member for those requiring medical over site with a trust fund. Generally, clients and families have questions regarding health and long-term insurance which we have the expertise to assist in understanding claims, maximizing insurance benefits, and assuring the healthcare policy you choose is in your best interest. We have expert knowledge of all the services available in the Pittsburgh and surrounding areas. Ultimately, this knowledge helps ensure clients can tap into any and all entitlement programs that they qualify for. In short, this assists in maintaining quality care. Veteran Benefits, Low income aging benefits, transportation, or financial assistance with home remodeling all fall into this category. Correspondingly, we know how to access these benefits and ensure you obtain what you are entitled to. The RN Life Care Manager determines the best customized individual methodology to assure the client takes their medication. They also review each individual medication prescribed and assure it is necessary to improve the life of the older adult. Polypharmacy refers to the effects of taking multiple medications concurrently to manage coexisting health problems. Too often during our initial assessments, we see clients prescribed too many medications by multiple healthcare providers. They work independently of each other and don’t usually consider the interactions between the drugs. We become the provider that knows the patient’s complete medication picture and assure they do not have adverse drug reactions. More often than not, one family member will bear the brunt of caring for their parent. Usually, that individual will struggle to get other family members on board with seeking outside help. Life Care Managers use their skills to get past family dynamics such as these that prevent a care giver and their loved ones from living quality lives. We value the input of all those seeking to be involved with the care of a loved one. We do are best to ensure all opinions are respected. Often, the act of hiring an expert for advice can be the solution in and of itself. We offer a unique service you will not find with any other care management company. In particular, we offer traditional/alternative medicine to our clients. In essence, years of experience have lead us to believe that modern medicine may not have all the answer to many medical disorders associated with aging. However, traditional medicine can provide the relief of symptoms older adults look for without risking adverse side effects often seen with modern medicine. Reiki, Aroma Therapy, Massage, Holistic Remedies, Holistic Educational Events, Far Infrared Sauna treatments are but a few of our ever expanding services we recommend and/or provide.